Stray cats battling disease, starvation, animal attacks or human cruelty, can die young. 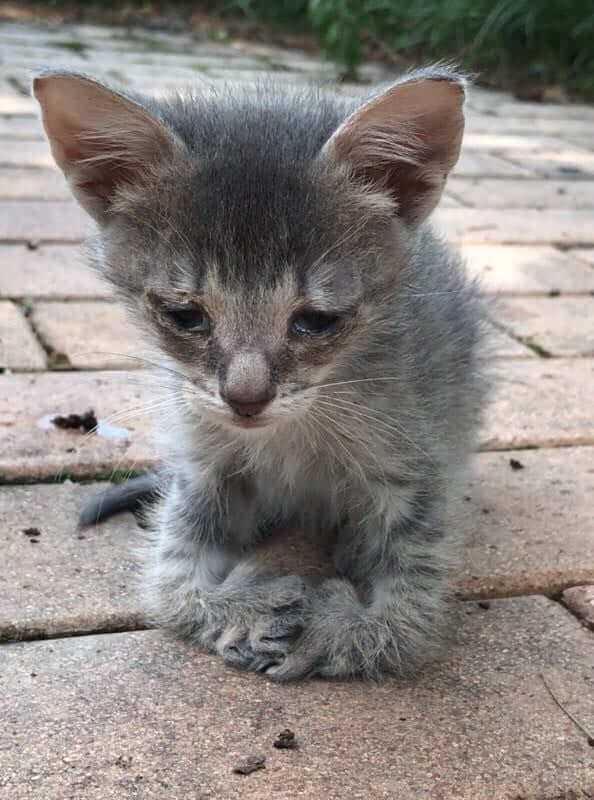 If you’ve found stray kittens on your property, act fast to help them live healthy lives. It is a great act of kindness to provide home, food and care to the poor felines. Scooter was born as a stray in Elkhart, Indiana. 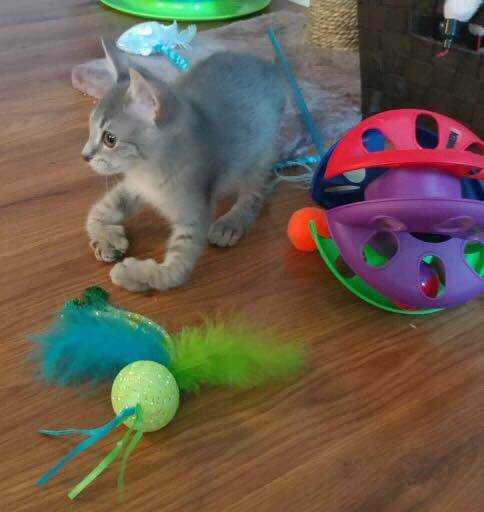 The kitten’s paws were deformed, making it difficult for him to walk and get around. Somehow, though, the determined kitten survived for five weeks on his own. Scooter hopes for a kind human that would be happy to accept him. Scooter decided to find a forever home for him. And so, he went into a woman’s backyard and started meowing so some one came to help him out. The woman heard some noises and she rushed to check. She saw the little kitten wandered in her yard asking for some help. The woman brought the kitten inside and found that he was underweight and had a severe eye infection. 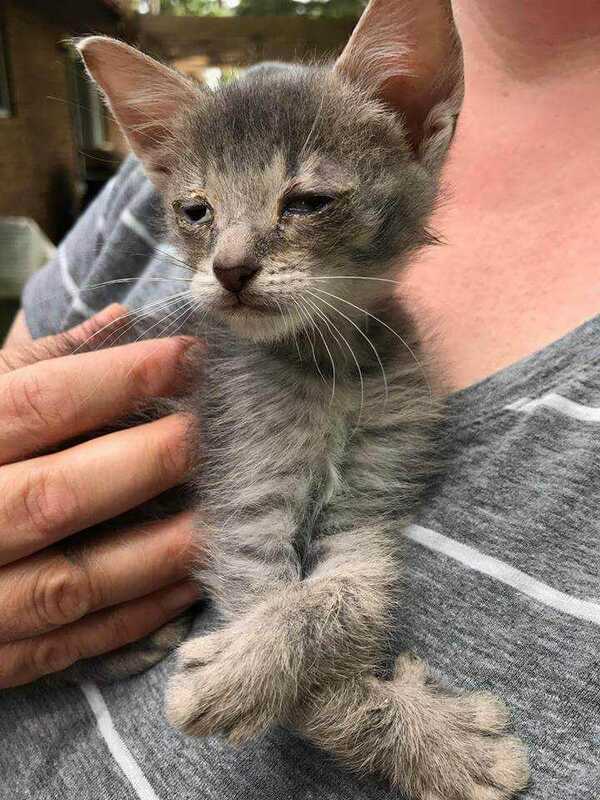 It was clear to the woman that Scooter needed more help, and so she contacted local rescue group Here Kitty Kitty Rescue. Kitty Kitty Rescue took Scooter in and gave him the medical help he needed. The vets also found that Scooter had a respiratory infection along with his eye infection. The vet gave him antibiotics, and after a couple of weeks, Scooter began to recover. The kitten began feeling better and his true playful personality came out. Now he will be ready to be adopted. Scooter loved playing with other cats, and so the rescue hoped the find him a home where he would have some siblings. 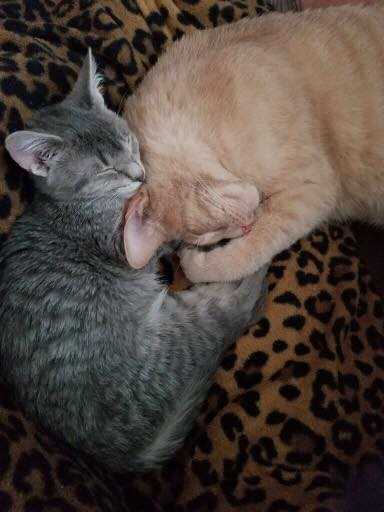 The rescue soon found the perfect owners: a kind couple who had two other kitties. 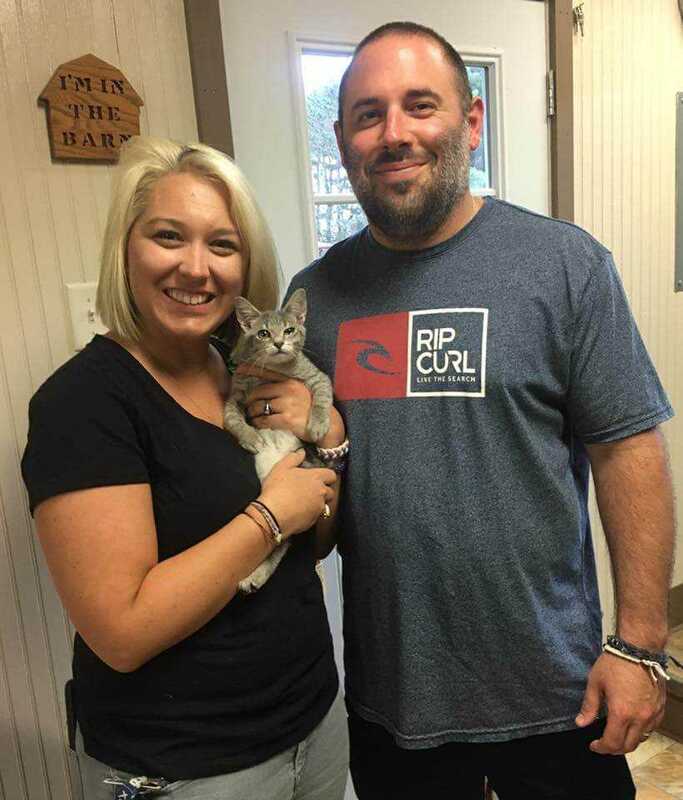 A kind couple Natalie and Anthony who had two other kitties decided to adopt Scooter and give him a happy home. Despite his deformity, Scooter never stops doing mischief . 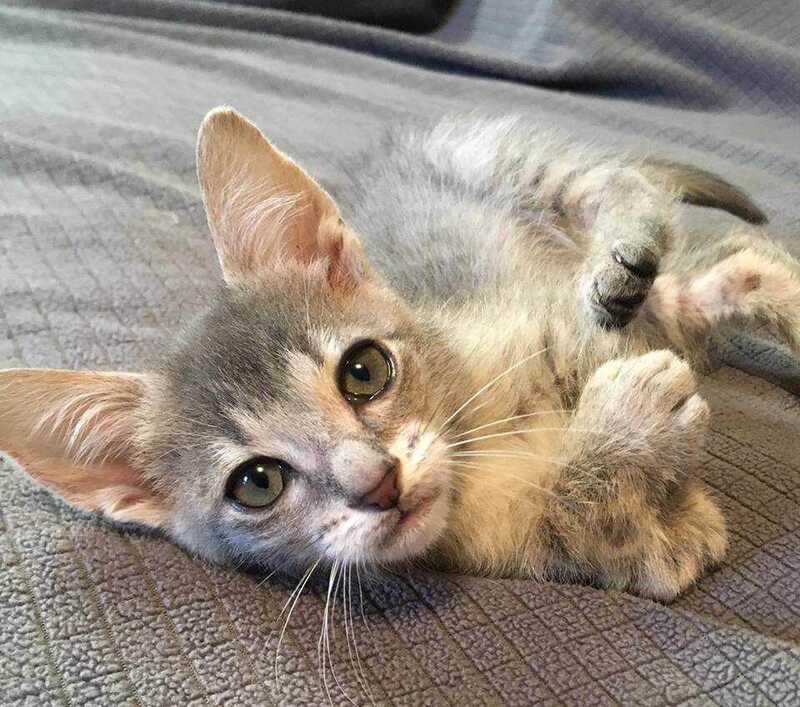 He loves playing and enjoys cuddling with his with his foster siblings. He loves to play with his new toys. He rules the house and gets proper attention in his forever home. He is leading a life he dreams of. He is happy, contented and loved.